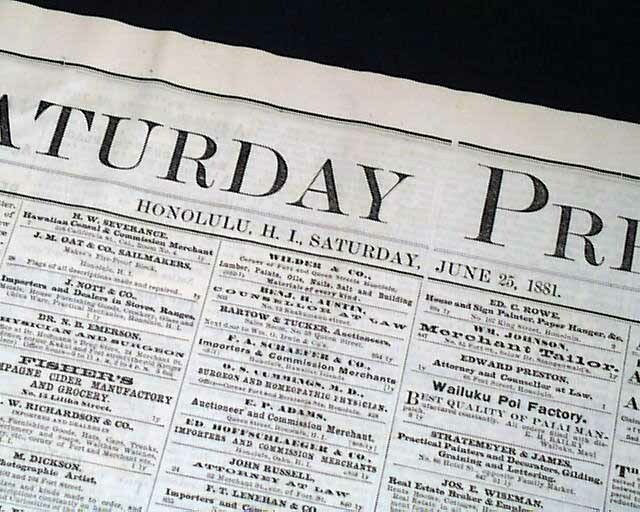 SATURDAY PRESS, Honolulu, H.I. 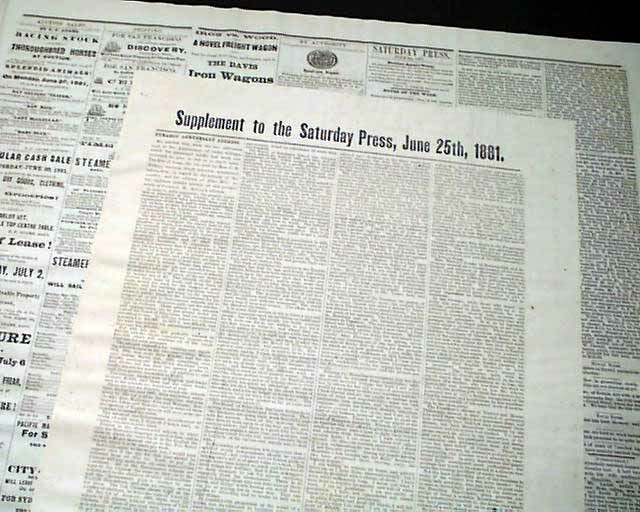 (Hawaiian Islands), June 25, 1881 An early and uncommon newspaper from Hawaii, this being a volume 1, number 43 issue. 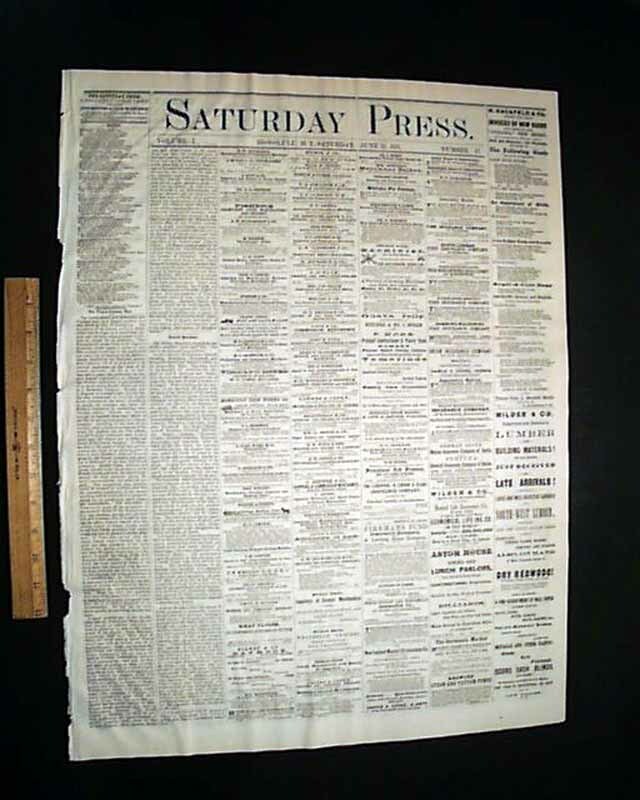 Format is much like other newspapers of the day with a nice assortment of news items and advertisements. Tucked within is a smaller-sized, single sheet, broadside (printed on one side only) "Supplement" (see photos). Four pages plus the supplement, folio size, mostly loss at the spine with some loss at the blank spine margin, very nice condition.